When I started this project, a number of people emailed with suggestions of people I should interview. 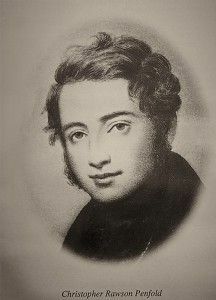 Vanya Cullen featured on many of the suggested lists. I had enjoyed Cullen wines, but had never met Vanya. I thought next time I was in WA, I’d call her and see if she would mind doing an interview with someone she had never heard of. Luckily she said yes. The day we were to meet, Vanya phoned. She had been travelling for a few weeks, had a dose of what she called the ‘Freo Flu’ and really felt like cancelling. Luckily for me, she thought that as I had come all the way from Adelaide, she would see me. It was a good interview, I’m sure glad she did. 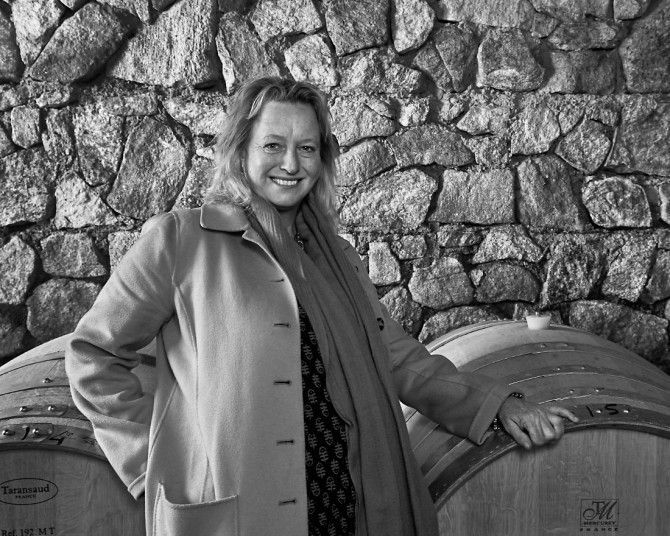 I’m currently Managing Director and Chief Winemaker at Cullen Wines in the Margaret River. 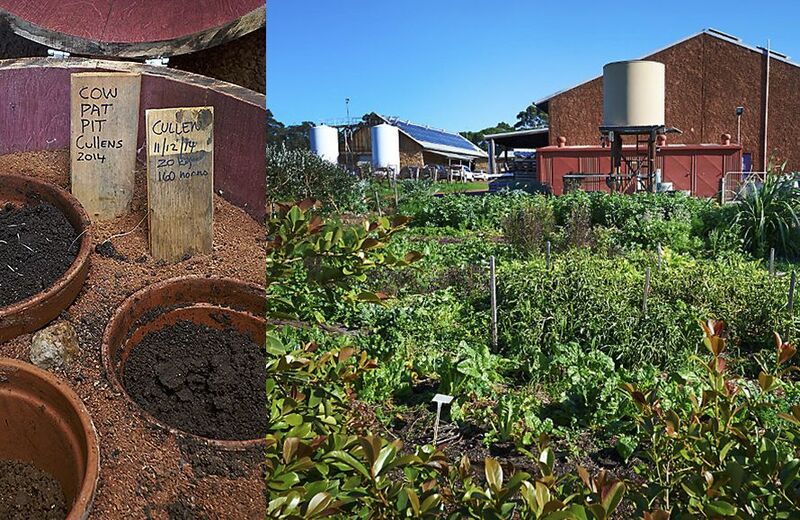 I look after everything biodynamic, including the vineyards, the winery, the restaurant and cellar door. Including the restaurant we have a staff of about during 30 peak times, normally it’s around about 20. It’s a family company, myself and my five older brothers and sisters own the company. 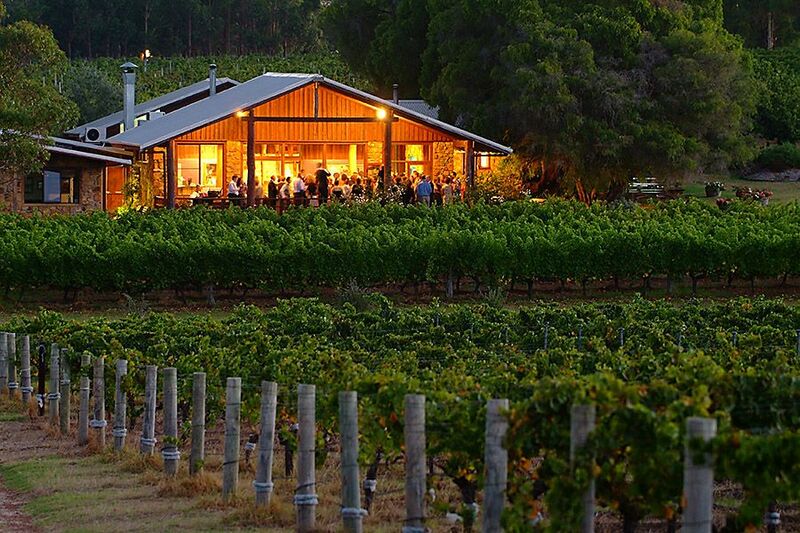 Cullen Wines Restaurant at dusk : Photo suppied by Cullen Wines. What was your early life like and how did you get an interest in wine. Dad’s Grandfather had a vineyard and winery in Bunbury. He left it to the only child of nine, he was a teetotaller ? I always had this theory that Dad thought he should make good again and give it another go. Kevin and Diana in the winery 1990 : Photo suppied by Cullen Wines. Mum and Dad had property down here, Dad was a doctor, they went to Busselton in the 1940s after the war. Dad’s family lived in Bunbury. They told him that there was a position down here. It was populate or perish in those days. They had always been environmentalists Mum and Dad; they fought for the flooding of Lake Peddar, they always had a strong feeling for nature and the land. 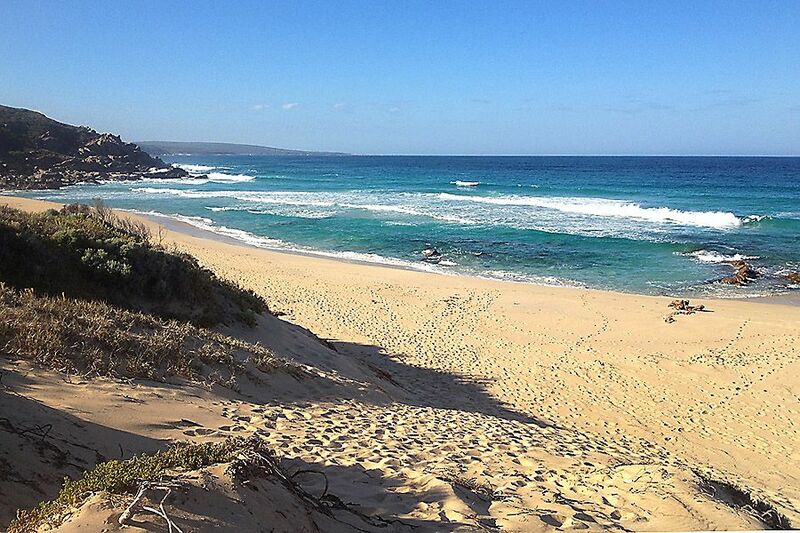 We have a beach property near here, Dad used to catch Dhu Fish off the beach. They told their good friend Dr John Gladstones that they were thinking of planting lupins. John said, “you would be mad to plant Lupins, you should should put grapevines in”, so that sort of planted the seed. All the local doctors down here at the time were enthusiastic. 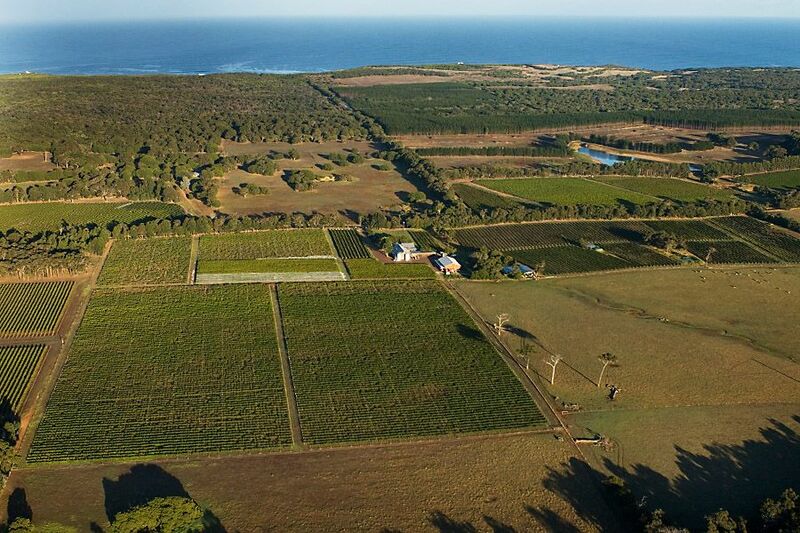 In 1971 they planted this property, they planted here because they wanted to grow Cabernet Sauvignon…. and right from the beginning the wines won awards. 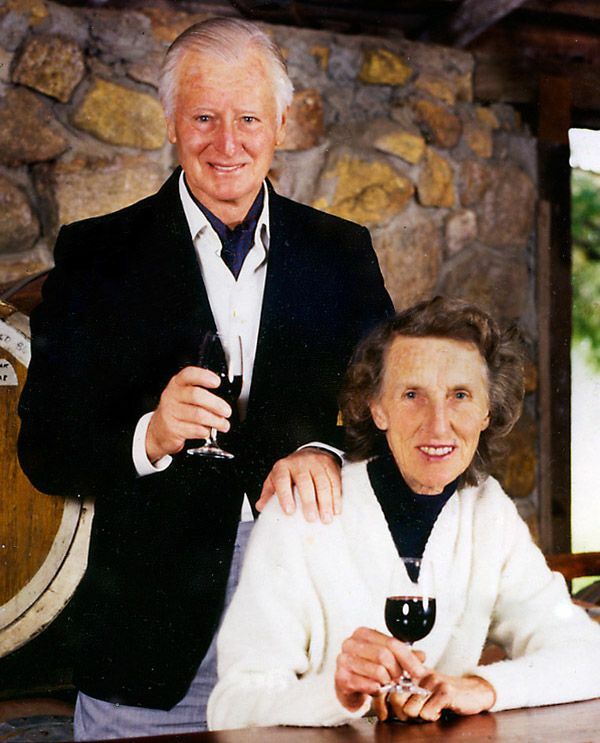 Your family have been involved in WA wine business for a very long time anything else you would like to add ? Mum took over as winemaker in 1981. She created history by being the first woman to win a trophy at the Perth show. She had no training in the wine business. Mum and Dad were great travellers. There was no information about growing grapes in Margaret River back then, so they’d go travelling and looking to find things out. 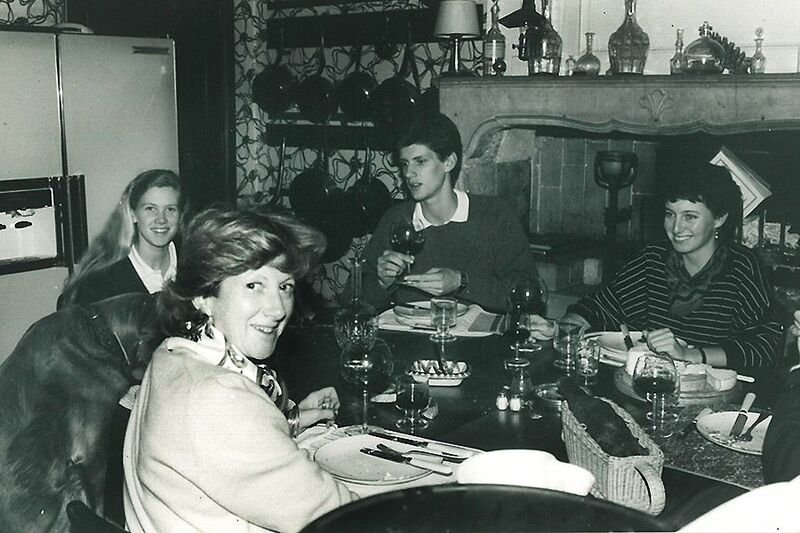 Vanya on the right in 1987 with the Drouhin family, during vintage at ‘Joseph Drouhin’ in Burgundy : Photo suppied by Cullen Wines. They used to say quality not quantity ! We stuck to that philosophy, all the time looking after the land. They were involved in having the first environmental act passed in 1966. That act of parliament prevented bauxite mining for half a mile off the coast. That’s helped the beauty of this region, it’s still pristine, any development is still restricted to around the towns. I came back here to work in 1983. Along the way I went Roseworthy in South Australia. I went to France the to New Zealand, back to Burgundy , andNapa Valley and came back here and 88 or 89. Your Father was a Doctor, as was Bill Pannell. I think they practiced in the same town. What is it with Doctors and wine ? Did you ever think of becoming a Doctor. Christopher Rawson Penfold an English physician who founded Penfolds in 1844 with his wife Mary Penfold. I don’t know what it is with the doctors, locally there were a few including my Father, Dr Bill Pannell and Dr Tom Cullity. It must have started with the Penfold’s in the mid 1800’s then, Dr Max Lake etc etc, lots of doctors all over Australia…. must be because wine is good for you and good for your health. I never thought of being a doctor I was much more interested in nature, I studied zoology and music. I like to think of myself as a land doctor. I do have two older brothers and a sister who are doctors and a two brother-in-laws. All the family worked on the vineyard and property. 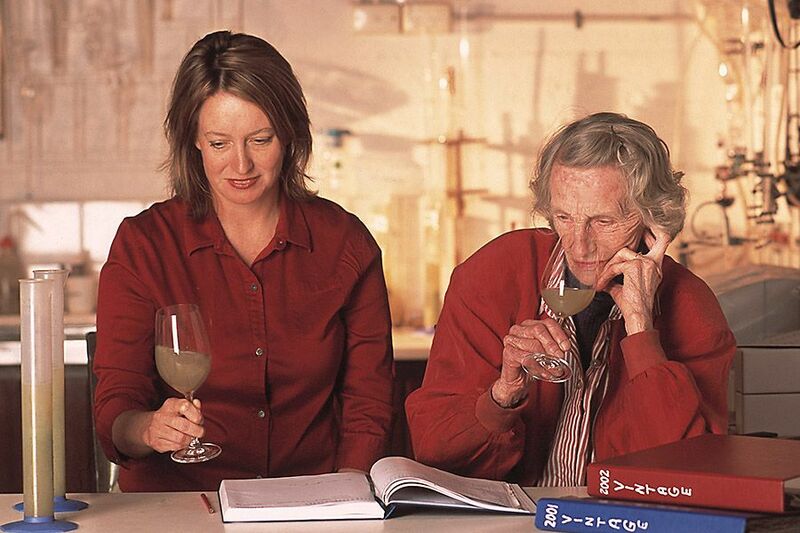 Wine making has been described as both an art and a science, Cullen wines were awarded the Bio DyNamic certificate by the BIO* in 2008. How do you see it all this fitting together and how does it influence your wine making ? It’s a good question because we went from minimal chemical input, to organic and then to biodynamic. Bio-dynamics is a step up from organics. It’s a holistic way of looking at life really, and it’s about thinking spherically, knowing everything is connected. The closest word I can think to explain it is the French word terroir. It’s the way people used to farm before toxic chemicals arrived on the scene. It would great for the world if more people farmed that way. For me its about giving back what you take; not looking at land as something you just take from. I’d say that about life as well. The soils should be living, rather than us controlling them, because you can never control nature. we should honour nature and the Earth. She’s given us everything really and we really treat her very badly. So how does that fit in here? We have a whole team of very passionate people here, who love it. It’s a great place to come every day. Mum and Dad chose a great site, and we are just looking after it. We really are the custodians of this place for future generations. It all makes sense, particularly here where we have the ocean so close. The Cullen vineyards : Photo suppied by Cullen Wines. Lots of fresh air, nothing between us and Reunion Island. It’s a very special place. It is artisanal, in terms of the vineyards and the wines. It’s also what nature gives us to look after. 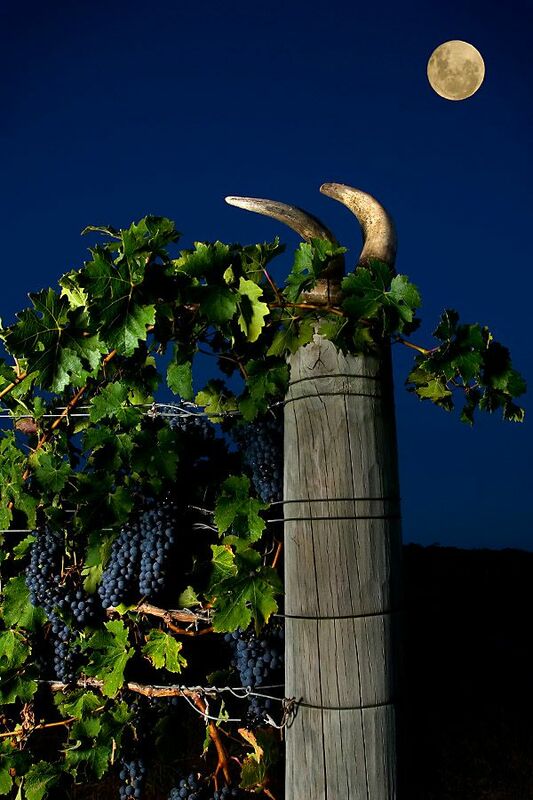 Cow horns and the moon in the vineyard : Photo suppied by Cullen Wines. We have changed somewhat since Mum was here, we don’t do anything to the wine other than accept low amounts of sulphur, and a little bit of bentomite to some of the whites. It is harvested, crushed, pressed and put into barrels or tanks. We have a lot of biodynamic barrels now, we harvest on the fruit and flower days according to Maria Toms calendar. We continue that calendar and we have our whole year mapped out in the vineyard and winery. I think it’s more about letting the heart of the vineyard speak rather than the mind of the wine maker. So I’m not thinking what a Cabernet should taste like, I’m thinking how can we project that into the bottle, we don’t add any acid or tannin, we like to think we have a pure sense of place in the glass. Our wines I hope are not out of sync with their vineyard. It’s very humbling, it’s not about you it’s about what’s out there in the vineyard. In 2005 the Diana Madeline was upgraded to Exceptional in Langtons classification. In 2010 Decanter magazine awarded the 2007 Kevin John Chardonnay a major award. The How important are these awards, local, Nationally and Internationally ? 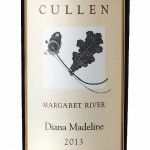 Diana Madeline : Photo suppied by Cullen Wines. It’s always good to have acknowledgement, and you do need those awards because people can forget who you are. You can’t just sit here and be complacent, it’s all part of the business. I used to judge, I don’t any more, I really have too many things to do trying to keep the business going and the wheels turning. Favourite wine styles and Memorable wines along the way ? Lots of wine, lots and lots and lots, usually tied in with people or situations and experiences, it’s often not the wine. I do love Burgundy as every one does, Barolo, and good Bordeaux . Champagne, as well as great Australian wine most of all wine of the land from Australia. Really, anything that’s good. 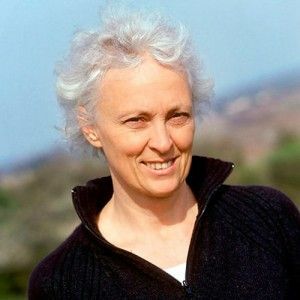 Anne-Claude Leflaive : Photo supplied. Any winemakers or other things, that inspire you ? Anne-Claude Leflaive, of Domaine Leflaive in Burgundy, was a great inspiration. It’s very sad she passed away earlier this year aged 59, far too young. Her passion was amongst other things bio dynamics , she was a very inspiring woman. Nature of the ocean music, good music and great wine of course. But I think nature the Earth and the sea. The sea is the big one. I would have to have our flagship wine the ‘Diana Madeline’ of course. I’d go and sit on our beach property straight right down the road from here. Gallows Beach : : Photo by Vanya Cullen. It would have to be bio dynamic vegetables, broad beans or some other veggies, they are my favourites. But my absolute favourite thing thing to eat is local abalone. Abalone that we catch fresh off the coast, with some ‘Kevin John’ our flagship Chardonnay. Then some biodynamic cheese with some more “Diana Madeline’. Sitting on the beach couldn’t be better. If I was in New Zealand I’d get some Bluff oysters. Where else would I want to be ? Anything else you would like to say, perhaps something about the Qantas wine selection panel ? I lead a simple life, it’s great. On Qantas,? well Im happy with the work we did for Qantas and it was a great experience to put the best wines on the airline. During that time Qantas was the most awarded airline for wine in the world.